Can you think of anything more fun to look at than great baby poses? Even if you're not a fan of babies, it's hard to stay in a bad mood when you see that innocent baby face and those innocent eyes staring back at you. Here are the 3 Tips For Successful Baby Portraits. This infant pose is one I used for over 9 years as a baby portrait photographer for a national in-home baby portrait company. 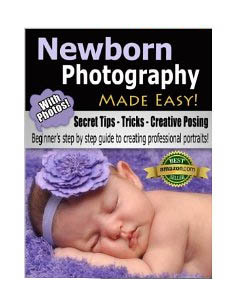 Simply lean your baby in a secure, safe and comfortable manner over a firm pillow facing directly toward your camera. It is a good pose for babies from 6 weeks up to 4 months old, depending on how well they can lift their head up on its own. It's a great way to capture the natural expressions of a young child in a close-up manner. 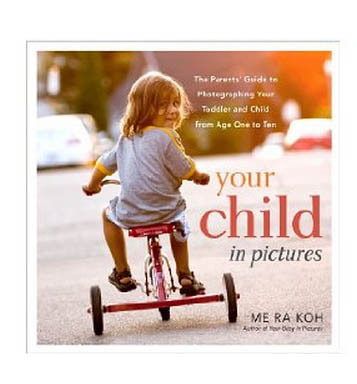 This article on baby pictures is about two simple poses that are easy to copy and are always winners if you are taking portraits of your own child or for someone else. The baby photo below is the classic baby-on-its-belly pose. All babies develop their muscles and body control at different rate, but the baby-on-its-belly is usually a great pose for ages 3 months to one year. One little precaution is necessary though: Never leave a baby unattended or in a dangerous position where it could fall off a table or be exposed to any kind of injury. The baby above had enough upper body and neck strength to lift her head and turn it to look at me while I made a clucking sound to capture this serious, but adorable pose. One of the Digital Photo Tips covered elsewhere on this photography site is on choosing to shoot using a vertical or a horizontal composition. The belly pose is a great time for shooting a horizontal composition. This baby pose on the right is called the "Personality Pose." It's looks better photographed as a vertical composition. When your infant is facing directly into the camera, you really capture the unique expressions that babies make at this age. The faces are always natural expressions at this point because they haven't learned how to make fake expressions. The baby is in an almost upright, kneeling position and MUST BE held by an assistant, with their hand hidden from the camera's view. I either wrap a pillow up like a large Tootsie Roll or use one of those doughnut shaped pillows as support. Using a tripod is one of the tips for taking digital photography that I always make for doing portrait photography. 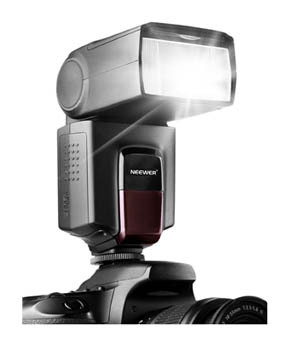 It allows you to watch your subject and time your exposure without having to worry about supporting your camera. 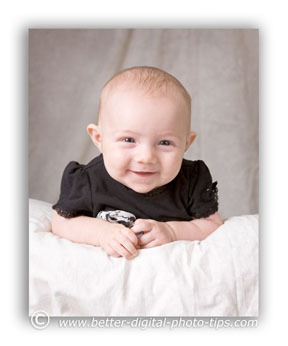 This portrait pose is usually good for infants 1 month old up to 6 month old. The younger ones, who have not developed enough neck strength often have their heads resting on their hands, which are placed underneath their chins. Baby pictures, just like family portraits come out better when you can take advantage of good photography lighting. You may also want to discover a photography tip on using a Photo Fill Light. My number one photography tip is always the same: Have fun as you get the hang of taking better photos. Experiment with a new technique in several ways. The age of digital photography allows us to experiment and try many variations of techniques without wasting film or money as we go and you can check out your results right away and make any adjustments. How cool is that? I recently took some more newborn pictures for someone. I couldn't resist adding this baby portrait example as one of the poses I like to do with babies. There is a saying that there is nothing more peaceful than a sleeping baby. Poses like this are easy to do when you have a content sleeping baby. I place a blanket in the corner of my friends couch and set up my Photoflex Softlighter to the right side. I used a large white piece of cardboard on the left side to bounce the light back into the shadow areas. 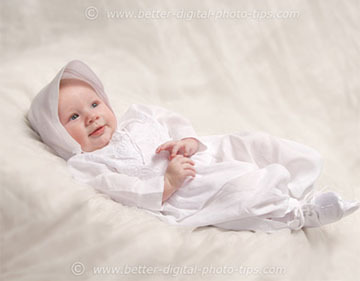 This creates a nice soft light which is great for baby poses. My little model was safe and secure, supported by the arm and the back of chair. Then I tucked the blanket underneath the baby's hand. 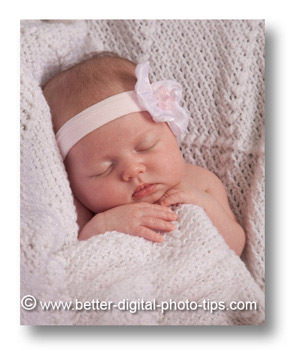 The white blanket, the light pink bow and the baby's fair complexion added together create a nice high-key portrait. The next section on baby poses was assimilated from a separate article and combined into this pose. It's specific to posing and photographing newborn babies and you'll notice a little repetition in my message to you, but repetition if the mother of learning. 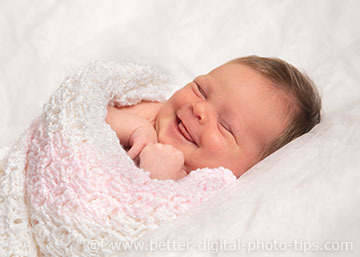 At first it may seem to be difficult to master newborn portrait photography. While it's true that most baby portraits of brand new newborn babies don't include smiles, that doesn't mean you can't create cute baby pictures. According to Webster's dictionary, a photographic Portrait is a pictorial representation of a person, usually showing the face, but portraits can capture many other aspects of a human being. I've had the honor of photographing babies professionally for over 25 years and I'll suggest to you that it's a common photo mistake to only concentrate on a baby's face. I know what you're thinking. You're saying that our faces are the most important and noticeable feature of people. I agree, but because of their unique size and characteristics, the other tiny parts of a baby make great subjects for photography too. I use three specific photography techniques when taking newborn portraits. Think about it. Why even bother trying to pose a newborn at all if you want your baby portraits to look natural? First of all, newborns have just about zero control over where there arms and legs go, so they tend to flail over over the place. that can lead to some awkward looking poses. Secondly, brand new babies have legs that are long and skinny that just don't look good when they're sticking straight out. Bending legs (and arms) makes them look better and also create a more pleasing composition. Here are the 3 newborn photography tips you should remember. Use a large light source. K.I.S.S. - Keep it simple silly. When it comes to baby photography tips, you can get some complicated advice. I like to keep it simple. 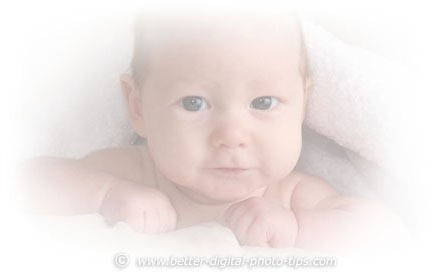 Tips about baby photography are a great topic for me to write about. You see, at one time in my career, I would photograph as many as 10 babies in one day. I worked for a location portrait company that specialized in photographing babies in their own homes. Perhaps that doesn't make me a baby portrait expert, but I did get a lot of experience and I think I can pass on a few tips and baby portrait ideas to you. 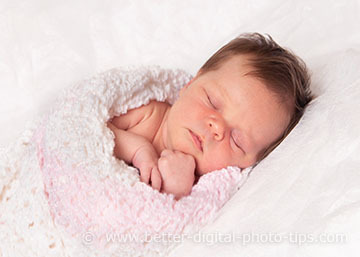 Larger light sources give you softer shadows and more attractive newborn photos. With most of my location portrait photography, I light my subjects with a soft-box umbrella made by Photoflex, because it is so convenient to travel with. 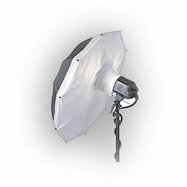 You don't need one of these Photoflex lights to take these photos. You can get the same soft light source by having your subject very close to a large window. I also used a large 2 foot by 3 foot piece of white foam core as a fill light. Any very large, flat, light-colored object will bounce soft light onto your precious subject. This fill light reflects light back and lightens the shadow areas and creates a beautiful soft, gentle light that is perfect for babies. You can also get a nice big light source by using a flashgun. Don't aim it directly at your subject but rotate and/or tilt it so that it's bouncing the light off a very large light-colored wall or reflector. that will scatter the light and give you softer shadows. The white gauze (sheer, tooling) that my subject is lying on adds additional light reflection too. This particular background was purchase from Denny's, but your local fabric store is a great source for lot's of photography background choices. 2. get the baby happy first. Baby have simple needs. They like to have full bellies. They like dry diapers and they like to be warm. 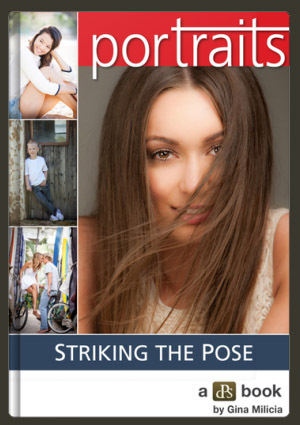 Here's a secret tip on baby posing that pro photographers don't want you to know about. 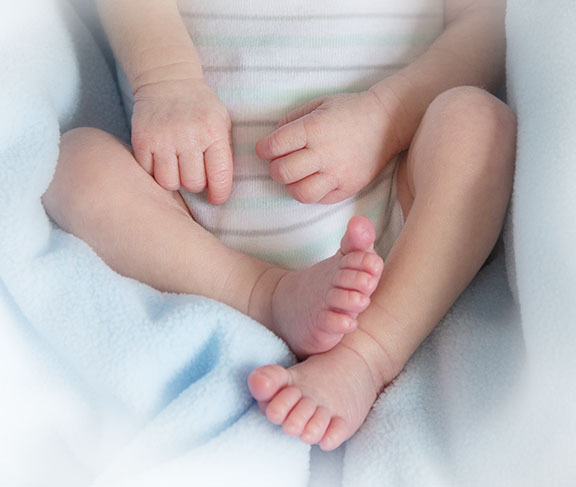 Use a heating pad, set on low, underneath the baby's blanket to keep him or her happy. Like us, they're also in a better mood after a good nap. Satisfy these needs and you usually have a quiet, content baby. Your chance of success with photographing small babies goes way up if you have an infant in a good mood. Tired, hungry, or agitated babies squirm like a worm and it's really tough to catch their arms, legs, and expressions in an appealing way. Use a simple close-up pose. Look for a simple, pleasing composition that portrays a soft, relaxed look. Zoom in to get close-ups of various parts of your infant subject. Including the hand of an adult as part of the baby picture adds a sense of how tiny a new baby's hands or feet really are. Use simple composition tips of photography such as the Rule of Thirds in photography, and the use of diagonals and balance. When I had my job with a national baby portrait company, the boss wanted all of the photographers to do the same traditional pose with every baby we photographed. They wanted to keep it simple for the average person they hired to get a pretty good baby portrait. That would give them consistent and decent baby portraits! You see, it was a tough job because of the traveling and many of the newly hired photographers wouldn't stick with the job too long. They had to hire replacements very often and they wanted the new photographers to be able get decent photos right as soon as possible. That really limited our creativity. 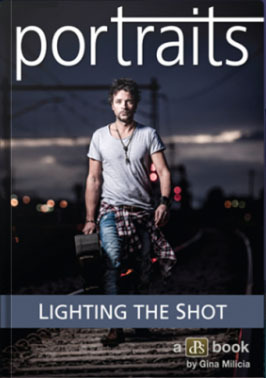 You can also get a lot of good baby portrait ideas and baby photography tips the old fashioned way, by actually getting a photography book on portraits. Yes, I know you can get a lot of free baby photography advice from me and other photography websites. Family Portrait Ideas. In addition to portrait photography tips related to baby Poses you may also be interested in reading some creative ideas for family portraits. Photography Poses. Tips on group photography poses for family group portraits of 3, 4,5 or even 6 people. Photography Lighting Equipment. You have a lot of choices on how to do your lighting. Sometimes you can go real simple and natural. Sometime you'll want to go a little more sophisticated. 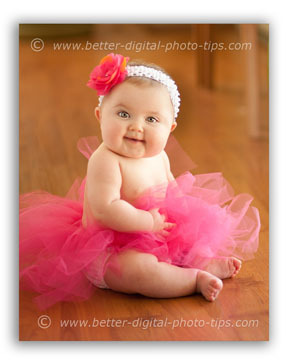 I just added this baby portrait as a reminder to give you a tip for doing full length baby poses. Get as far back as you can from your subject and use your telephoto setting on your lens. This gives a more pleasing look without spatial distortion that can occur when using a wide-angle lens setting. Of course, after I finished writing this article on baby poses, I took another baby portrait that I wanted to share with you. Generally when photographing a baby that has just learned to sit up by herself you get an easy pose to take. Babies are likely to stay in one place at this stage of their development.If there is a suitable spot, I like to take baby portraits on a floor. It is a safer situation than photographing a baby on a table. This wooden floor was a great spot and it was an ideal situation because there was a double width door to the right of my baby. The door provided a beautiful, large, soft light source. I placed a very large white piece of cardboard on the left to use as a fill light. 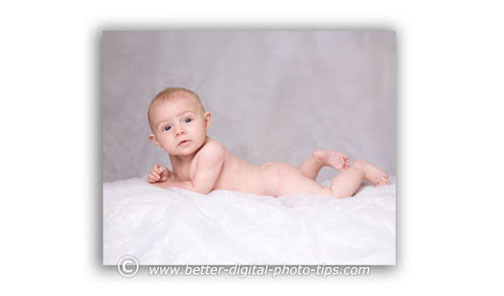 Baby poses that are taken without much clothing, provided they are tastefully done are always a winner. You really don't need a special camera to take great baby photographs, There's no doubt that a DSLR gives you more options on controlling exposure, focus, and many options for camera lenses. You can design creative baby poses and use beautifully lit situations to get great shots with your cell phone camera, but you definitely are limiting your results. Having a camera with a telephoto lens setting is an almost necessity with all portrait photography and that includes baby photography. If you get in too close with a cell phone camera or a cheap point and shoot camera, you can get unattractive distortions. If you're thinking of getting some camera gear specifically for baby photography, here are some relevant topics to explore. Have fun with baby poses. Shoot more photos. Watch less TV.